Qflow Print offer general printing services at extremely low prices – you have to check our prices to believe it! All prices exclude VAT @ 23%. You can also send us your order by email, and send the artwork as a file attachment. Or you can order by phone. Qflow Print (part of the Qflow Marketing group) supply brochures, leaflets, letterheads, business cards, post cards, posters and presentation folders. 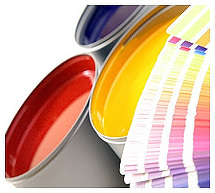 We can provide design services, or you can supply us with finished artwork ready for printing. Qflow Print can offer quick turnaround service for emergency print requirements. But for the best prices, you should allow 1-2 weeks for delivery of your order. The great thing about Qflow Print is that there are no hidden extras! The prices you see online, are the prices that we charge. If you need design services, we charge a low rate per hour – you can save time and money by providing us with your logo files, picture files and the text that you want to include in your brochure – we can discuss the design with you, and provide artwork proofs before printing. If our online pricing does not cover your specific needs, please call us on 01-9030121 or email us info@Qflowprint.ie .